O, Oliver Wendell Holmes Sr.
1. For there we loved, and where we love is home, home that our feet may leave, but not our hearts, though o’er us shine the jasper-lighted dome:—The chain may lengthen, but it never parts! 2. Love is the master-key, he went on thinking, — love is the master-key that opens the gates of happiness, of hatred, of jealousy, and, most easily of all, the gate of fear. How terrible is the one fact of beauty! 3. The sound of a kiss is not so loud as that of a cannon, but its echo lasts a deal longer. 5. Though fortune scowl, though prudence interfere, One thing is certain: Love will triumph here! 6. One could never remember himself in eternity by the mere fact of having loved or hated any more than by that of having thirsted; love and hate have no more individuality in them than single waves in the ocean;—but the accidents or trivial marks which distinguished those whom we loved or hated make their memory our own forever, and with it that of our own personality also. 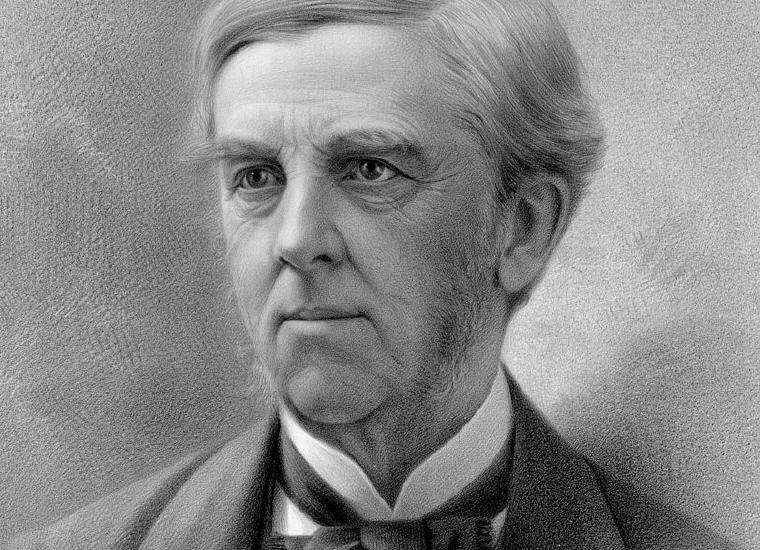 Excerpt from Wikipedia: Oliver Wendell Holmes, Sr. (August 29, 1809 – October 7, 1894) was an American physician, poet, professor, lecturer, and author based in Boston. A member of the Fireside Poets, his peers acclaimed him as one of the best writers of the day. His most famous prose works are the “Breakfast-Table” series, which began with The Autocrat of the Breakfast-Table (1858). He was also an important medical reformer. Sayings from Oliver Wendell Holmes Sr.
1. Poets are never young, in one sense. Their delicate ear hears the far-off whispers of eternity, which coarser souls must travel towards for scores of years before their dull sense is touched by them. A moment’s insight is sometimes worth a life’s experience. I have frequently seen children, long exercised by pain and exhaustion, whose features had a strange look of advanced age. Too often one meets such in our charitable institutions. Their faces are saddened and wrinkled, as if their few summers were threescore years and ten. 2. …the real religion of the world comes from women much more than from men,—from mothers most of all, who carry the key of our souls in their bosoms. 3. Truth is tough. It will not break, like a bubble, at a touch; nay, you may kick it about all day, like a football, and it will be round and full at evening. 4. Don’t be “consistent,”—but be simply true. 5. The longer I live, the more I am satisfied of two things: first, that the truest lives are those that are cut rose-diamond-fashion, with many facets answering to the many-planed aspects of the world about them; secondly, that society is always trying in some way or other to grind us down to a single flat surface. It is hard work to resist this grinding-down action. 6. Every now and then a man’s mind is stretched by a new idea or sensation, and never shrinks back to its former dimensions. After looking at the Alps, I felt that my mind had been stretched beyond the limits of its elasticity, and fitted so loosely on my old ideas of space that I had to spread these to fit it. 7. I find the great thing in this world is not so much where we stand, as in what direction we are moving: To reach the port of heaven, we must sail sometimes with the wind and sometimes against it,—but we must sail, and not drift, nor lie at anchor. 8. It was that of the mind of a bigot to the pupil of the eye; the more light you pour on it, the more it contracts. 10. Insanity is often the logic of an accurate mind overtasked. Good mental machinery ought to break its own wheels and levers, if anything is thrust among them suddenly which tends to stop them or reverse their motion. A weak mind does not accumulate force enough to hurt itself; stupidity often saves a man from going mad. 11. Put not your trust in money, but put your money in trust. 12. Man has his will,—but woman has her way! 13. You may set it down as a truth which admits of few exceptions, that those who ask your opinion really want your praise, and will be contented with nothing less. 14. Learn the sweet magic of a cheerful face; Not always smiling, but at least serene, when grief and anguish cloud the anxious scene. 15. The young man knows the rules, but the old man knows the exceptions. The young man knows his patient, but the old man knows also his patient’s family, dead and alive, up and down for generations. 16. To be seventy years young is sometimes far more cheerful and hopeful than to be forty years old. 18. It’s faith in something and enthusiasm for something that makes a life worth looking at. 19. Be polite and generous, but don’t undervalue yourself. You will be useful, at any rate; you may just as well be happy, while you are about it.